Ahh...the dreaded Gore-Tex implant. Yesterday I was talking to a woman who obviously had those in her lips, and they were so stiff that she actually couldn't form words properly--she could barely move her upper lip. Do the results always look that bad? If so, why aren't those things taken off the market? 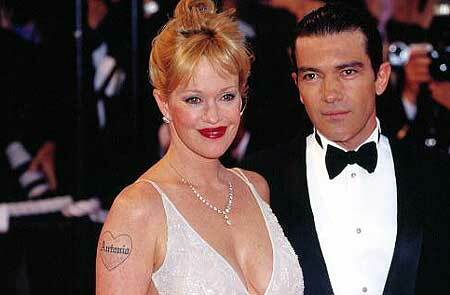 And Melanie Griffith hasn't looked like a human being since, what, 1995? Are there any lip implants that can look natural? The worst ones in my opinion are the gore-tex or Soft form implants. Soft, they are not. Restylane or collagen can look natural if not overdone. The best implant, however, is your own fat. It's not Mel's surgery that has stalled her career; it's her lack of talent and decades of substance abuse, which also doesn't help her appearance. No one's cared about her for ages. Could not agree more with Ines. These people are so screwed up, you start feeling sorry for them.